The U.S. workforce is undergoing a generational shift as baby boomers near retirement age. The national defense and intelligence communities, in particular, stand to lose scientists and engineers with decades of experience in imaging systems that track environmental change, natural disasters, peacekeeping efforts and matters related to homeland security. In an effort to put the issue on the national agenda, experts from RIT, the National Geospatial-Intelligence Agency (NGA) and the imaging industry shared their concerns with Congressional representatives, aides and staff from the House Armed Services Committee and House Permanent Select Committee on Intelligence late last year. U.S. Rep. Louise Slaughter, D-Fairport, sponsored the briefing. The RIT initiative drew upon a report written by the Subcommittee on Technical and Tactical Intelligence in 2008 for the U.S. House of Representatives, which calls for workforce development in imaging science and remote sensing and partnerships with universities. RIT President Bill Destler, Professor David Messinger and industry representatives who attended the Dec. 3 event emphasized the need to cultivate the next generation of scientists and engineers to develop, build and operate complex imaging systems. The university presented itself as part of the solution and sought sustained funding to produce more Ph.D. students and research critical to the defense and intelligence communities. “We feel that we can graduate more students every year out into the field with the science and technical background to understand the capabilities of an imaging system, what it can and can’t do and how to process the image to get the information you want out of it,” said Messinger, associate research professor and director of the Digital Imaging and Remote Sensing Laboratory in RIT’s Chester F. Carlson Center for Imaging Science. Federal agencies looking to hire U.S. citizens to fill defense and intelligence positions are facing a workforce shortage and a knowledge gap, said Stefi Baum, professor and director of the Center for Imaging Science. The Center for Imaging Science seeks to grow its remote sensing lab and its other related imaging laboratories through sustained relationships with the federal departments and agencies that routinely hire RIT graduates. Messinger and Baum envision targeted recruitment of imaging science graduates akin to Toyota’s formal courtship of RIT’s mechanical and automotive engineers. Prior to the Congressional briefing, Destler and Messinger met with key members of the National Geospatial-Intelligence Agency to discuss starting a formal relationship with RIT’s imaging science program. RIT Board of Trustee member Jeffrey Harris ’75 (photographic science and instrumentation), chairman of the Open Geospatial Consortium and a former director of the National Reconnaissance Office, acted as their primary contact with the agency. “The STEM-educated, tech-savvy specialist—competent with imaging systems—is a valued member of the new integrated-information eco-system,” he said. According to Messinger, 10 to 15 percent—or 13 RIT alumni, mostly with imaging science and photo technology degrees—“dominate” the NGA’s image science group. Team leader, retired U.S. Air Force Officer Michael Foster ’07 (imaging science), NGA Image Science Integration Lead in the Office of Sciences and Methodologies, earned his Ph.D. through an Air Force advanced education program that sends officers to study imaging science at RIT. Messinger met in January with the head of human resources and other specialists to further explore a strategic relationship between the NGA and RIT, including on-site training for scientists at the agency. Discussion with the National Geospatial-Intelligence Agency remains ongoing. “We hope to convince the NGA and other governmental agencies to generate a significant amount of funding to support five to 15 graduate students a year,” Messinger said. The Center for Imaging Science graduates approximately 10 to 15 undergraduate and 20 master and doctoral students per year. The undergraduate program hovers between 40 and 50 students, while the graduate program claims 110 to 115 students. Imaging systems attached to planes or satellites juxtapose optical cameras side by side with infrared sensors to capture information beyond what the human eye can see. Some imaging scientists develop the instrumentation to collect data; others write the algorithms, or computer programs, that turn data into useful information by processing and interpreting imaging data and creating geospatially accurate maps. “Typically, agencies will have to train physicists, mathematicians, computer scientists or engineers as much as they can in the imaging system,” Baum said. 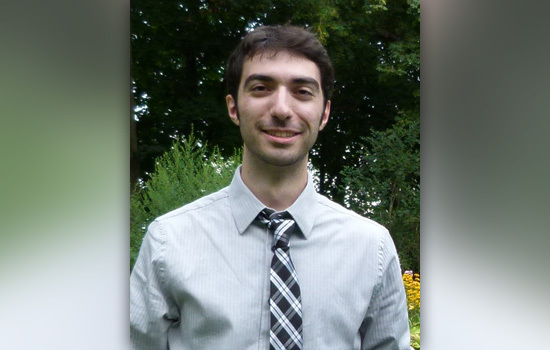 Matthew Montanaro ’05, ’09 (physics, imaging science) came to imaging science with a physics background and appreciates the end-to-end perspective he has developed. The nuances of imaging science are a product of the education, he said. 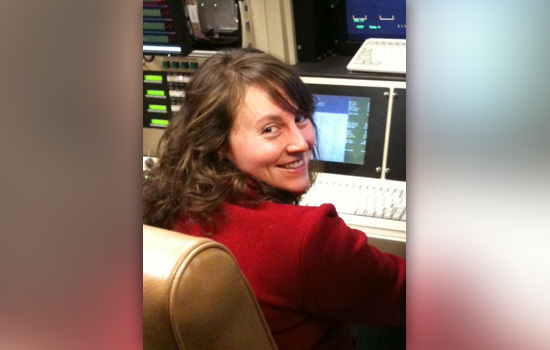 Ariel Schlamm ’06, ’10 (imaging and photographic technology, imaging science) is a senior sensor systems engineer at the MITRE Corp., a federally funded research-and-development center in McLean, Va. Graduates from RIT’s Chester F. Carlson Center for Imaging Science have a good reputation for being able to “dive in quickly,” she said.